54 – 55 Hotel St. 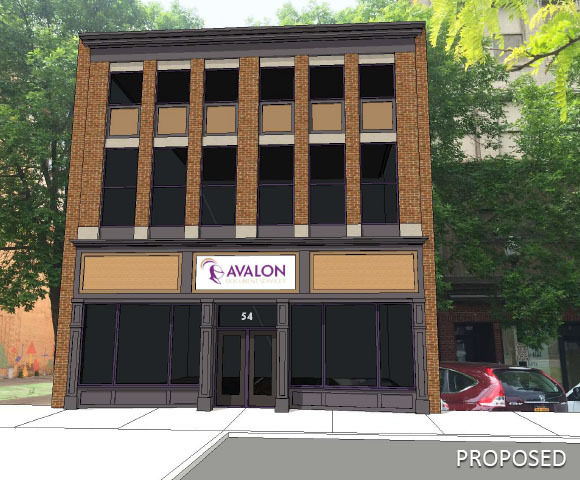 Conceptual drawings prepared for the Utica, NY Bleecker Street Facade Program that show a proposal to renovate the facade of a mixed commercial and residential building, focused on regaining the original character of the upper level windows. 108 – 116 Bleecker St.
713 – 717 Bleecker St.